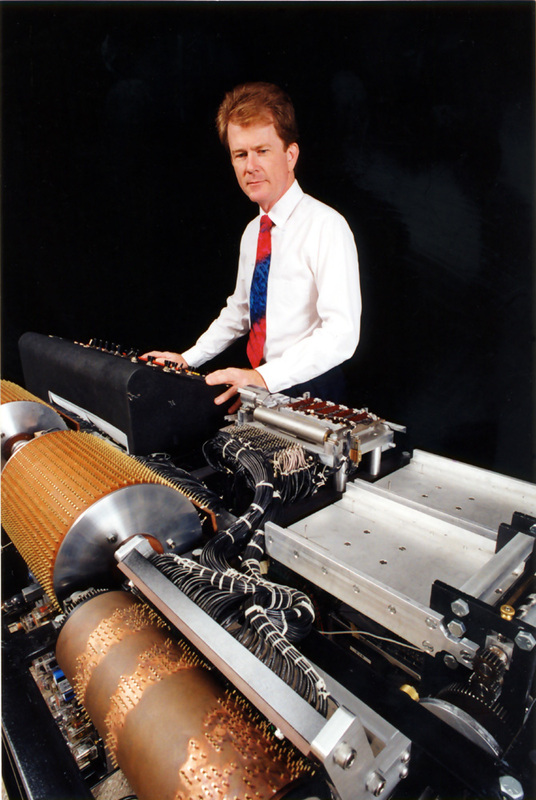 The paper, "Reconstruction of the Atanasoff-Berry Computer" was presented in August, 1998 in Paderborn, Germany and later appeared in the Annals of the History of Computing. 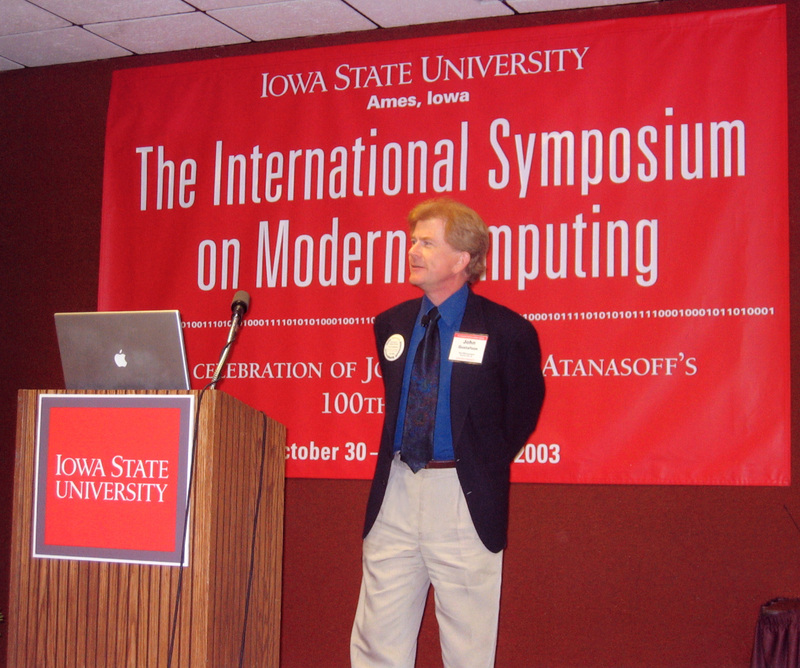 The keynote speech at the inaugural meeting of the IEEE John Vincent Atanasoff International Symposium on Modern Computing (JVA 2006) was given by Dr. Gustafson. It was at this conference that Bulgarian president Parvanov awarded Dr. Gustafson the International Atanasoff Award. This paper, "The Quest for Linear Equation Solvers," summarizes that presentation. With the working replica of the Atanasoff-Berry computer. At the Atanasoff Centenary celebration at Iowa State University. 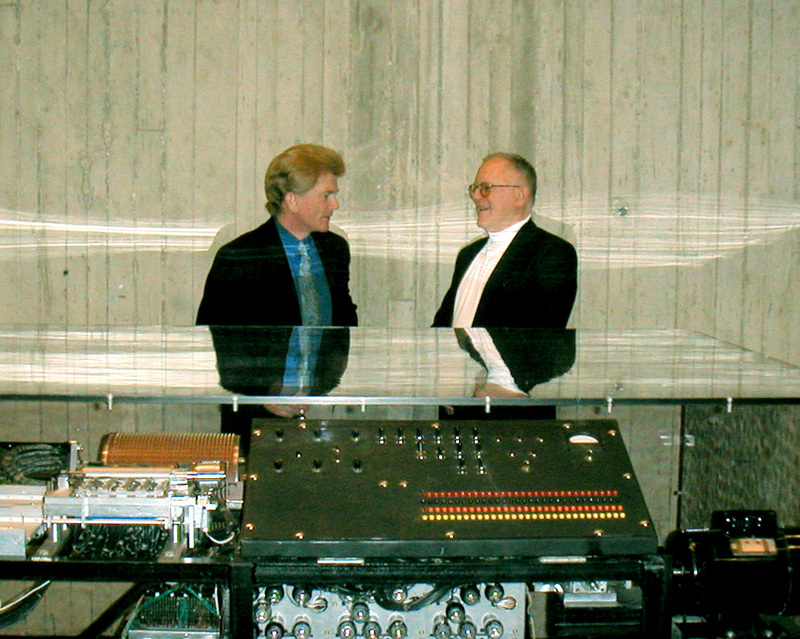 Gordon Bell right; John Gustafson left; Atanasoff-Berry Computer bottom.